JulEye, the annual Australian charity fundraising campaign for eyesight research, has an inspiring TV ad inviting viewers to take a moment to appreciate their eyesight. 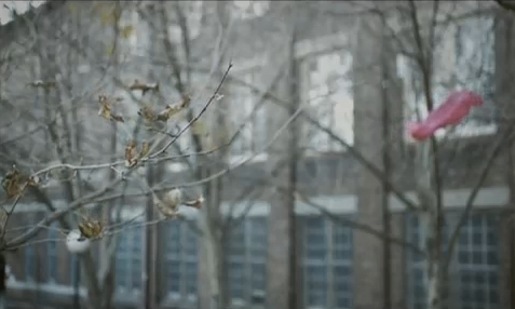 In a scene with parallels to the plastic bag scene from American Beauty, a pedestrian comes across autumn/winter leaves and a shopping bag playing in the breeze. JULeye, an initiative of The Eye Foundation, aims to raise $3.5 million in funding for eye health research projects over the next two years to help find cures for glaucoma, macular degeneration, diabetic retinopathy and rare diseases. The JulEye campaign promotion was developed by art director Ben Pearce and copywriter Richard Kahotea. Filming was shot by director/editor Boyd Britton via Window Productions with director of photography Hugh Miller. VFX were developed at Surfaces Rendered, Sydney. Music was composed by Hylton Mowday and produced at Jam Music.